Around 4-5 years back purchasing “anything” online was regarded either blasphemer madness. Then came the super-pace growth of e-bay, Amazon,Flipkart,Snapdeal and many others, tied by the higher penetration of web in India which led to a revolutionary grow thin online shopping. As the top 4 have always been in a competition to beat each other in sales, but what they actually done is increase India’s e-commerce market at a breakneck pace. And, not to mention, this competition has led many small startups to start their own best eCommerce platform in India selling various products online. According to a report released by an American Information Technology Research & Advisory Corporation known as Garner, “e-commerce in India will probably exceed $6 Billion in profits by 2015, estimating a 70% growth from a year-ago”. Nearly 8 Million people did their shopping from one of above mentioned top 4 online shopping websites in 2012, and today the number has grown to 35 Million this year. By 2016, this online consumer base will rise to nearly 3 times to 100-Million, and over 50 percent of the new buyers could be from Tier-I and Tier-II towns. This makes India one of the wildest-growing e-commerce markets in Asia Pacific region. Today people of India shop online without any doubts or fear in their mind and this rate has increased by 71% among the Tier-I and Tier-II customers with over 30% of traffic on e-commerce website arising from smartphones or tablets. Thus Indian online marketplace is set to surpass $15 Million by 2016. The current Indian e-commerce market is quite similar to the China market in 2005! To know best how the Indian e-commerce companies are playing the fields, for each Rs 100 spent to e-tailing, Rs 35 is spent on subsidiary services like payment gateways, warehousing, logistics, and many others. Shipping costs any eCommerce platform owner extra 8-10% that ends with other e-commerce giants producing nothing lucrative out of the deal. This tells us why Amazon.in is yet to reach a smiley in profitability while other Indian alternatives are nowhere when it comes to profitability, anytime in the long run. So, if you are a startup who wish to start your own best eCommerce platform in India, then you should look for a service provider that can help you build your e-store with no flaws. With specially-designed services around cash on delivery, payments, automated delivery management and multi-channel sales – NWebKart is the only e-commerce system that will be customized for that Indian turf. 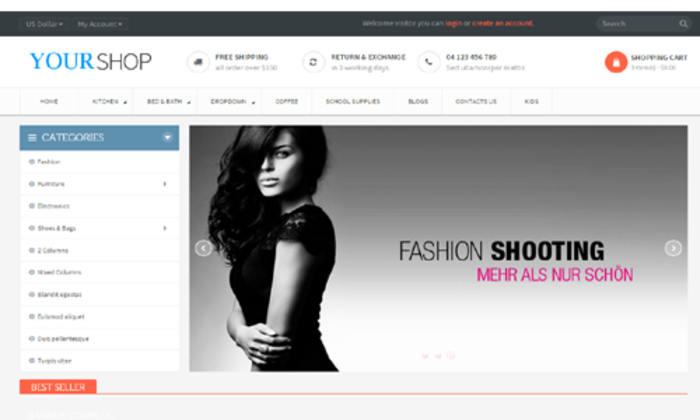 You will get access to more than 100 mobile-ready and web store themes that are custom-tailored for your business. All of our themes is fully customizable, so you may fine-tune your theme and produce your online store according to your needs. Our e-commerce application feature the very best checkout procedure in the market, so you can optimize your sales while providing your visitors anall-in-one experience. Create your online shop with NWebKart and get mobile-ready site, which means your clients can reach you wherever they’re. 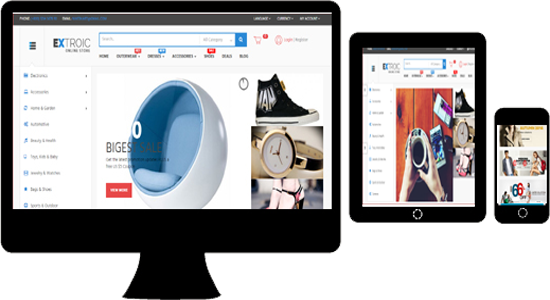 Mobile-responsive themes from NWebKart help auto-alter your store and enhance the theme to any mobile screen to enhance navigation and usability. With a big populace of India had gone mobile, you realize you have to prepare yourself! 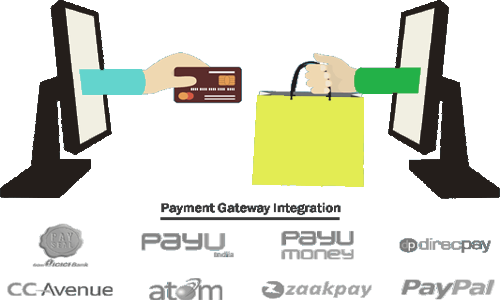 NWebKart is incorporated with all top payment companies in India. With us you’ll get ready to accept cash-on-delivery, Credit-Card, Debit-Card, Online Banking and PayPal orders in your e-commerce store. You will also receive a FREE Payment-gateway with your plan from NWebKart! We help more than 12 Indian payment-gateways alongside PayPal. Fully-integrated and easy courier services in India. Dispatch products nationally and globally with no trouble. No extra integration or agreements needed. 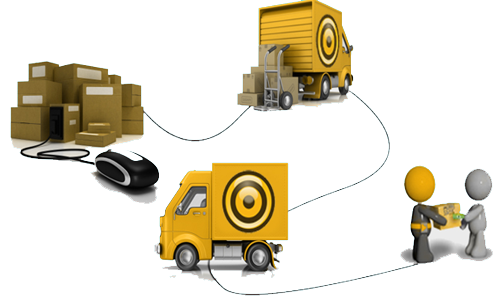 Work with top courier businesses in India and obtain the biggest shipping and cash pick-up reach. You can get way invoices in real time as well as print your shipping label. 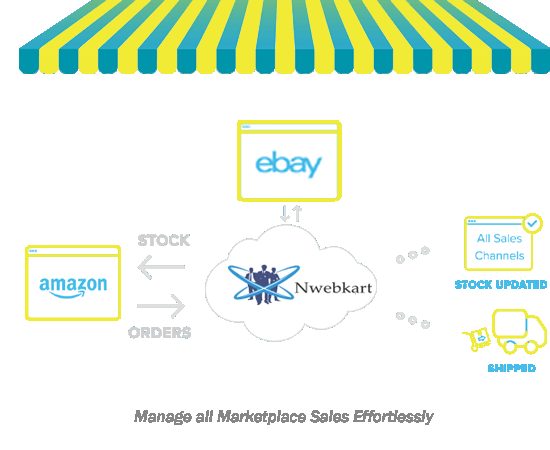 NWebKart is one of the best ecommerce platforms in India that will be pre-integrated with top online marketplaces such as eBay &Amazon. Other online marketplaces like Flipkart, Snapdeal, Jabong, YepMe arealready trying their level best to allure their shoppers. This means you merely list your products in your NWebKart shop, and sell online in India. You may also push feeds to Shopzilla,Junglee, Googlse, Yahoo and Bing to gain more online presence for your online store. Now you can manage your e-store and sell your products online in India via using your smartphone, laptop tablet. All that’s necessary is an admin Android app of NWebKart. This application will help you gain access to your store’s administrator screen with a single click. What else do you need? You can add new products; manage inventory, process orders, and a whole lot more with this app.